Sorafenib resistance remains a major obstacle for the effective treatment of hepatocellular carcinoma (HCC), and a number of miRNAs contribute to this resistance. 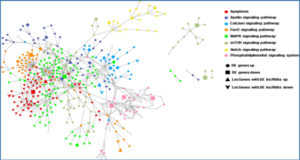 However, the regulatory networks of miRNAs are very complex, thus inhibiting a single miRNA may sequentially activate other compensatory pathways. 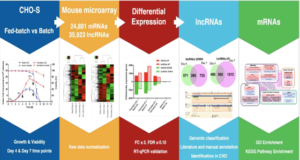 In the present study, researchers at Harbin Medical University generated an artificial long non-coding RNA (AlncRNA), which simultaneously targets multiple miRNAs including miR-21, miR-153, miR-216a, miR-217, miR-494 and miR-10a-5p. 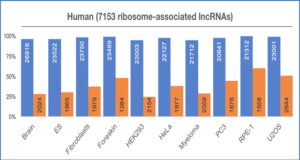 These miRNAs have been shown to be upregulated in sorafenib-resistant cells and participate in the mechanisms underlying sorafenib resistance. 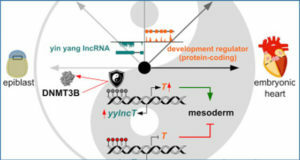 The AlncRNA contains tandem sequences of 6 copies of the complementary binding sequences to the target miRNAs and is expressed by an adenoviral vector (Ad5-AlncRNA). Infection of Ad5-AlncRNA into sorafenib-resistant HCC cells blocked the function of miRNAs, and sequentially inhibited the downregulation of PTEN and activation of AKT. Ad5-AlncRNA significantly inhibited proliferation and induced apoptosis of sorafenib-resistant cells and enhanced the effects of sorafenib in vitro and in animal models. 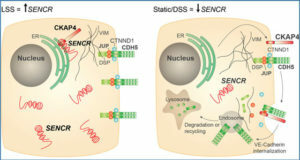 Inhibition of autophagy decreased the sensitivity of sorafenib-resistant cells to Ad5-AlncRNA, while its induction had the opposite effect. 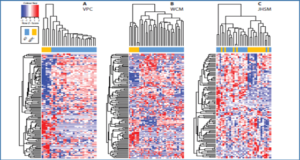 These results indicate that targeting multiple miRNAs by the artificial lncRNA could be a potential promising strategy for overcoming sorafenib resistance in the treatment of HCC. 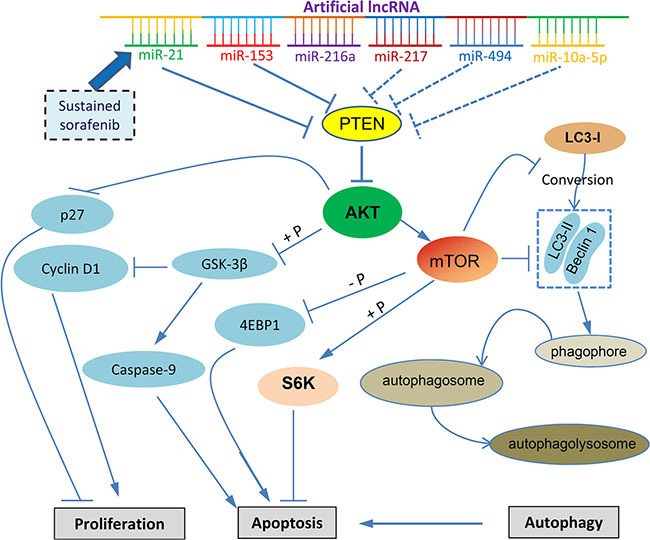 Proposed mechanisms by which an artificial lncRNA targeting multiple miRNAs to overcome the molecular mechanism contributing sorafenib resistance by regulating the PTEN/AKT pathway. “→” indicates positive regulation or activation; “⊥”, negative regulation or blockade; “+ P”, regulation by phosphorylation. A dotted line indicates the mechanisms not investigated in the present study. Abbreviations: 4EBP1, eukaryotic translation initiation factor 4E-binding protein 1; GSK-3β, glycogen synthase kinase 3β; LC3, microtubule-associated protein 1 light chain 3; mTOR, mammalian target of rapamycin; PTEN, phosphatase and tensin homolog; S6K, ribosomal protein S6 kinase.